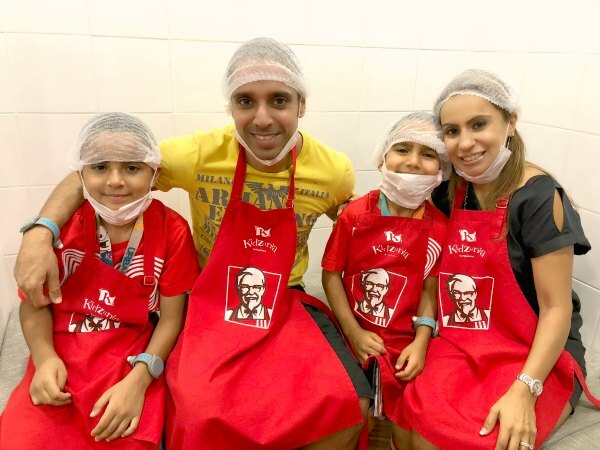 Double the fun at KidZania this April as they celebrate 2 years! 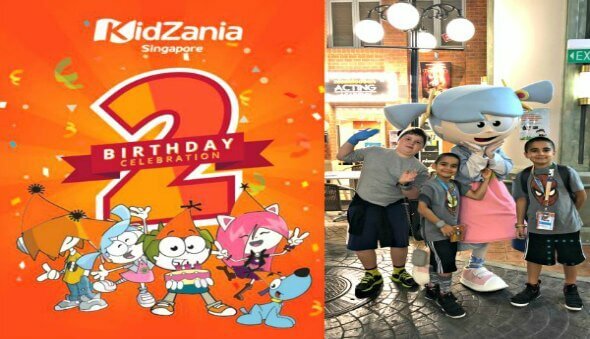 A birthday celebration is in order – KidZania Singapore is turning 2!!! 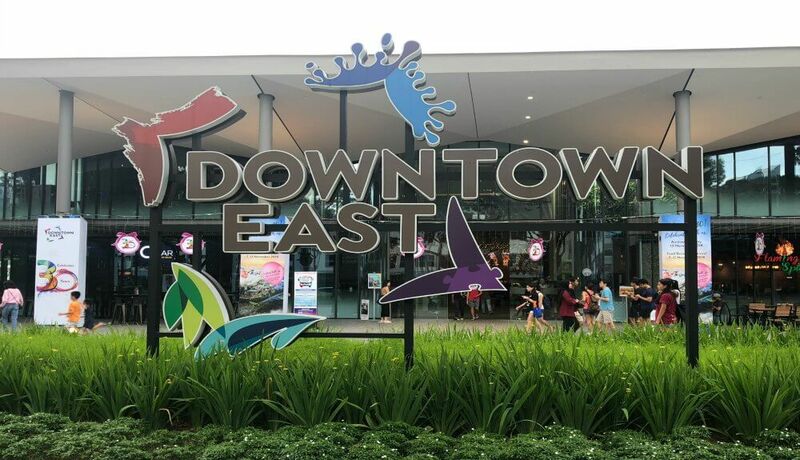 Yes, two amazing years have passed since KidZania Singapore opened its doors at Palawan Beach and now has become a regular edutainment venue for our kids. 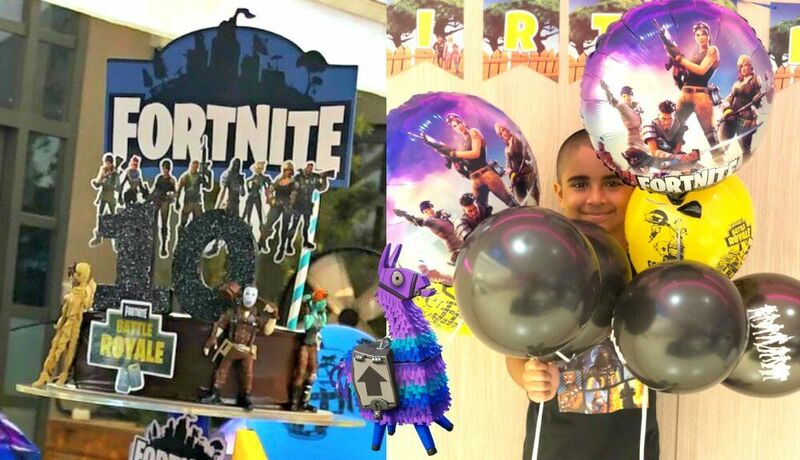 To celebrate, there are some super special birthday activities and double promotions for the month of April, so keep reading to find out more! 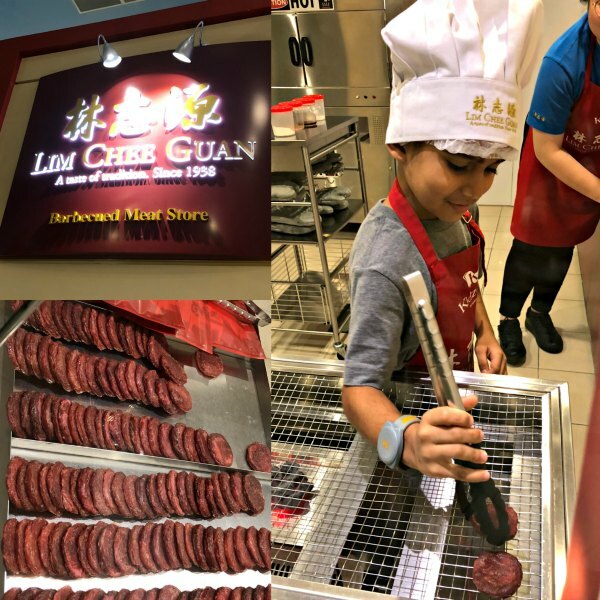 By now most of our kids have been to KidZania Singapore and have experienced the ultra-realistic role-play that the city has to offer. 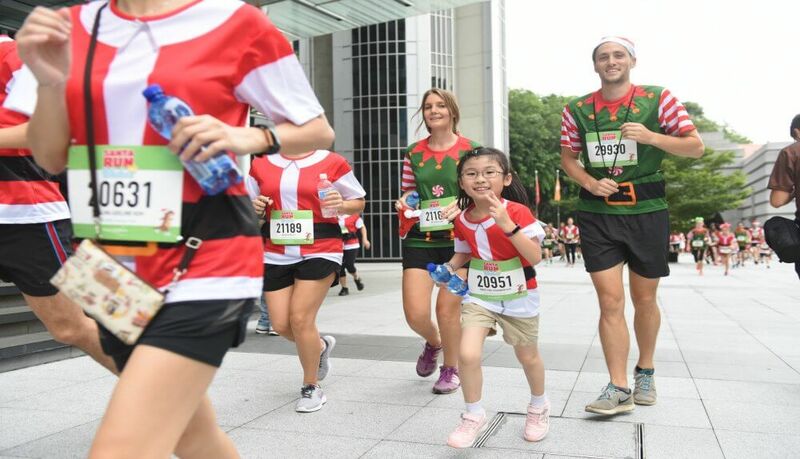 From putting out fires, delivering parcels or cash, editing newspapers, preparing food, pumping gas, or investigating crime scenes – KidZania Singapore uses real-world fun and learning to ready kids for a better world! 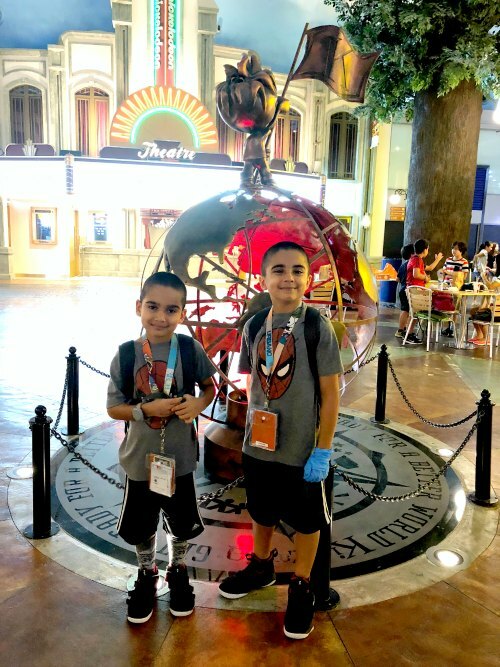 Whether you have visited just once, or numerous times, you will notice that the offerings at KidZania Singapore are constantly being updating as our children’s interests diverge. 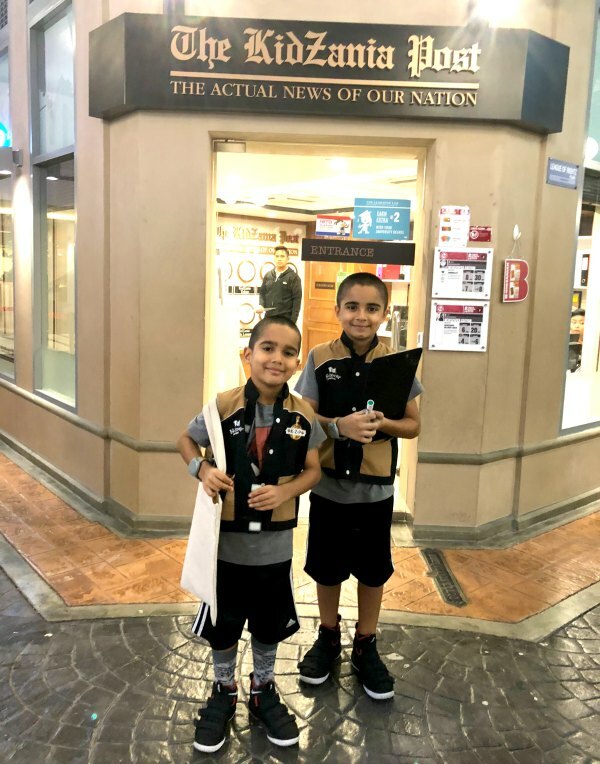 My boys, Zayden (age 9) and Xavion (age 6) have been active KidZania Singapore citizens and the last two years have just flown by. 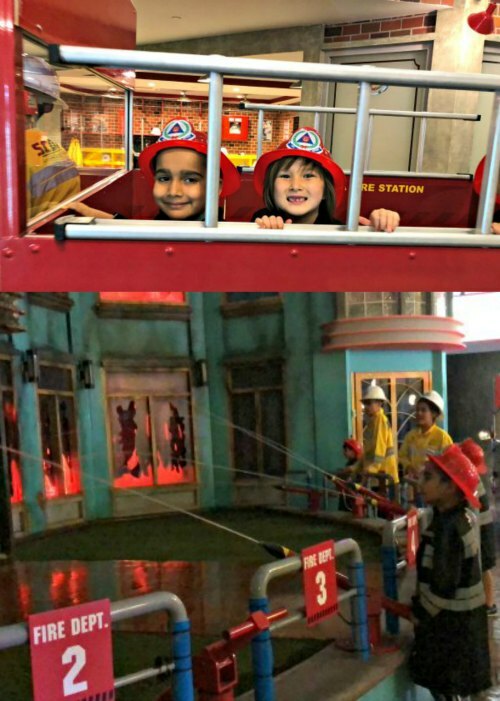 When KidZania Singapore first opened, my boys would always race to take on jobs as being firefighters, pilots or police officers first. 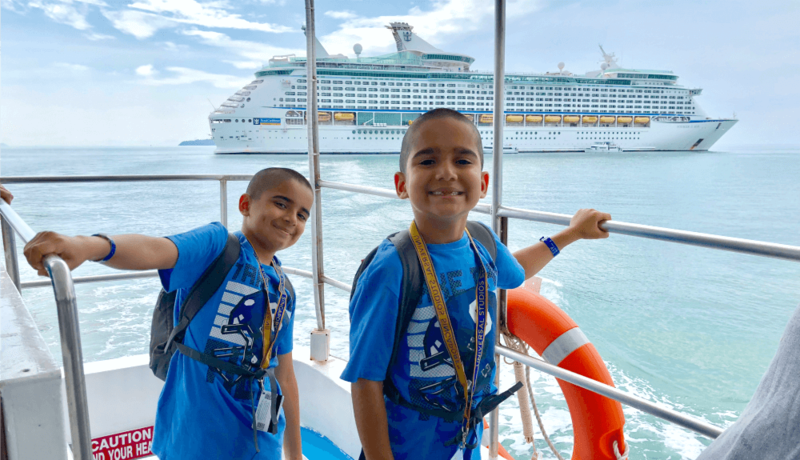 Over the course of our many visits, I have watched my boys’ eagerness to learn and their curiosity evolve. 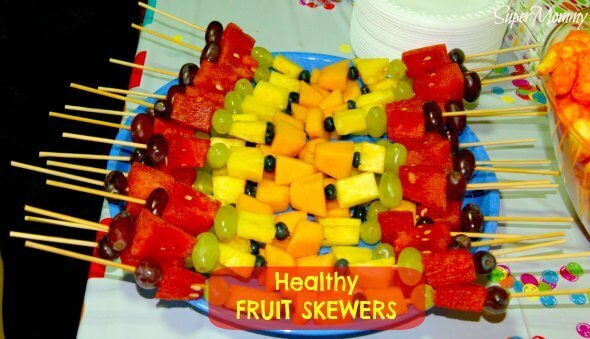 With each visit, they have started asking more knowledgeable questions about the tasks at hand. I have noticed that they no longer jump just for the usual jobs, but rather, explore and understand a variety of different roles that people play in society. Over time, they have learned that many of the jobs are connected. For example, insurance is required before embarking on a ‘risky activity’ such as mountaineering and a university degree will earn you more kidZos. These are real life lessons that are hard to teach without first-hand experience. As a parent I have observed my boys achieve new milestones at every visit. 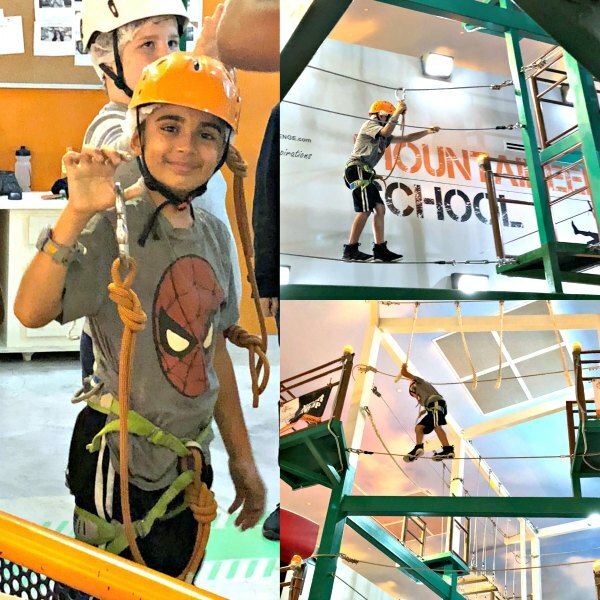 From our very first visit, Xavion would check his height against the measurement board for the “wall climbing” activity. Having not yet reached the height requirement, to his disappointment he would be turned away. 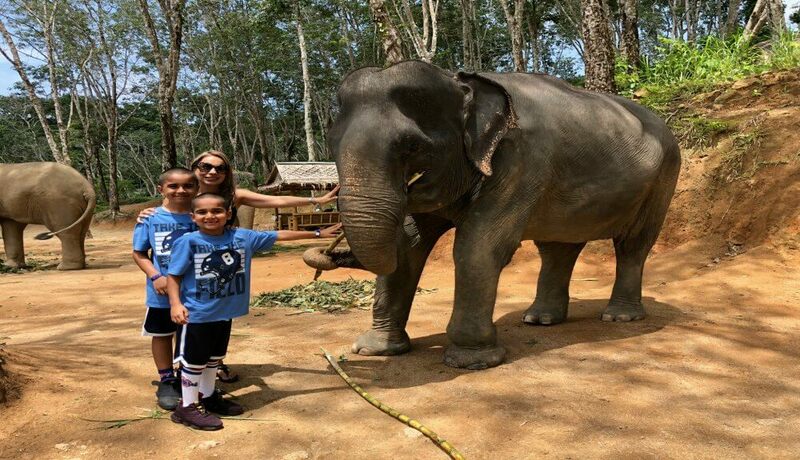 During our recent visit over the school holidays, Xavion made the height requirement with an extra 1 cm to spare! He climbed the wall not once, but four times just to prove that he could do it! Xavion’s next goal is to join the Mountaineering School, which requires a 155 cm arm length. Big brother Zayden achieved this last year and has been actively climbing since. 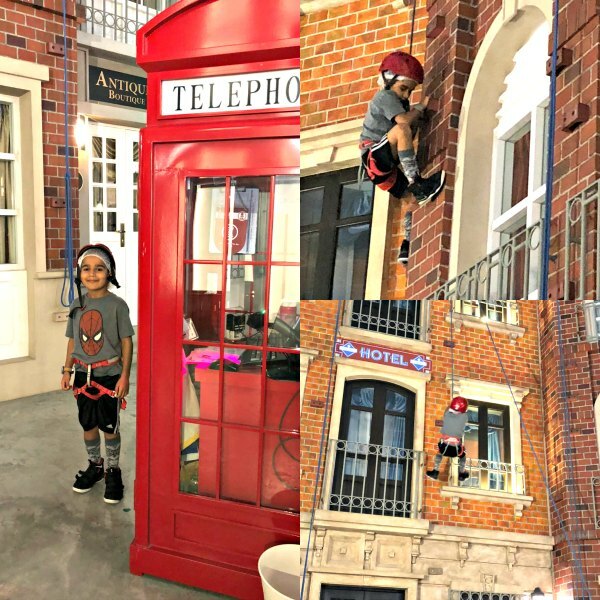 For us parents, KidZania Singapore isn’t actually a bad place to hang-out either. 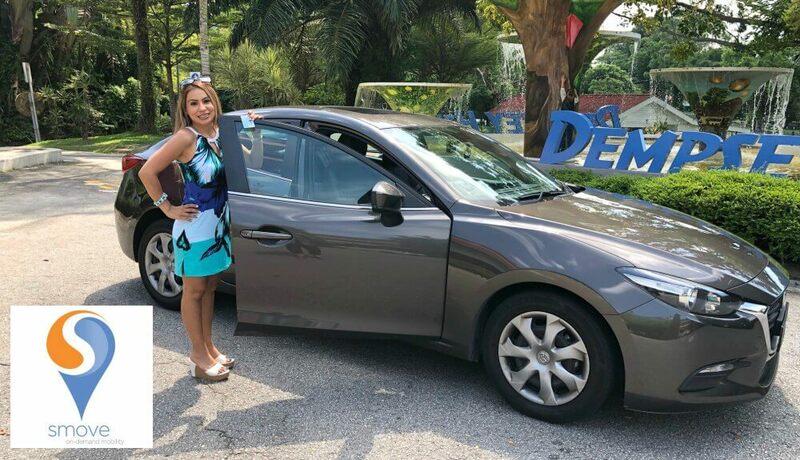 When we get tired of taking pictures for social media (yes, we all do it), we can chill out at the special Parent’s Lounge or at the restaurants located around the City while our kids are busy earning kidZos. We also have had a few opportunities to participate and work side-by-side with our kids in some fun role playing activities during the special family nights. 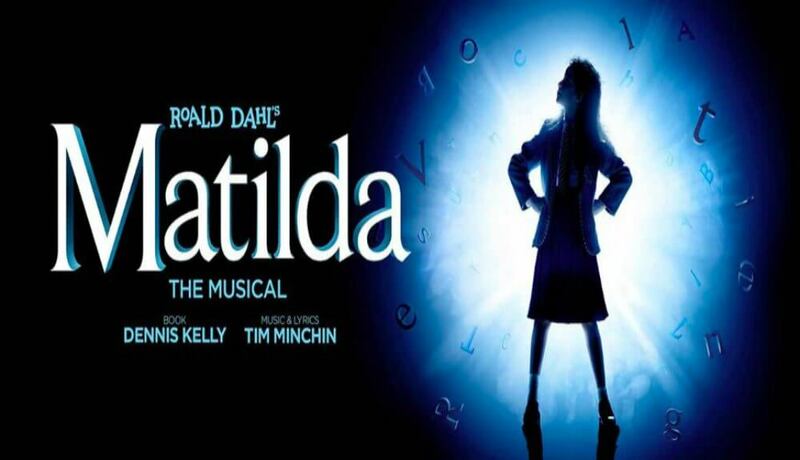 Just so you know, there are 16 roleplay activities us parents can do together with our kids. 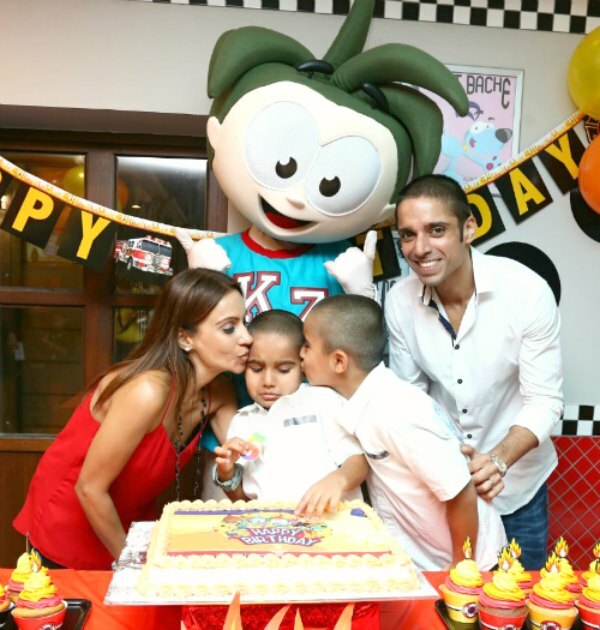 In addition to being a great edutainment activity for our kids, KidZania Singapore is also an awesome birthday party venue with numerous party theme possibilities! Two years have passed, but the fun doesn’t stop there!! 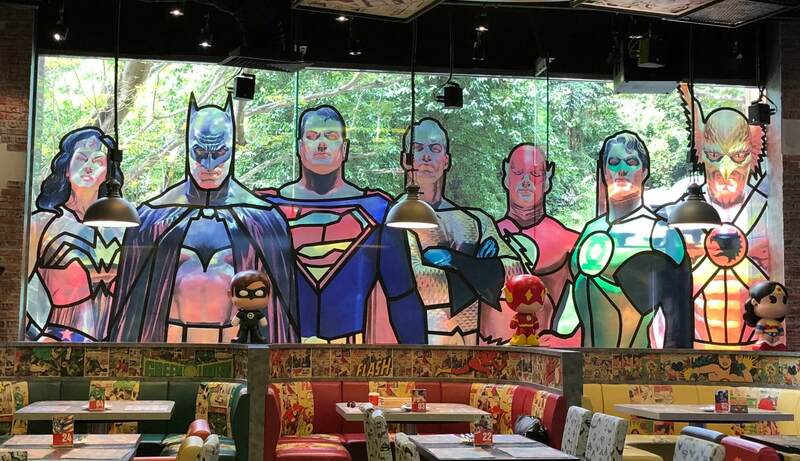 KidZania Singapore continues to grow and evolve daily. 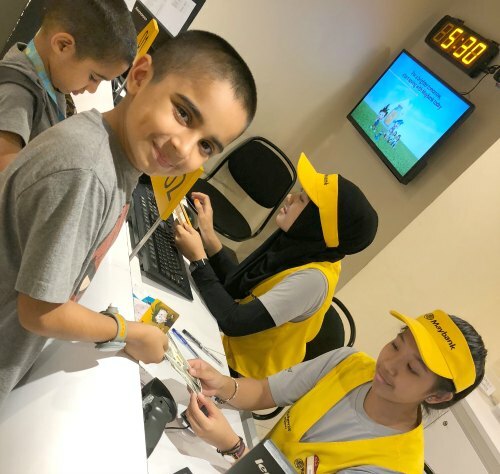 Starting this year, KidZania Singapore will be launching a legislative body of elected kids who will come together regularly to share ideas, voice their opinions, and discuss important topics that concern citiZens and tourists of KidZania Singapore. The Inauguration for the first ever KidZania Singapore CongreZZ will be held on 8th April 2018, so make sure you are at KidZania Singapore to support your fellow CongreZZ members! Now a birthday celebration, just isn’t a celebration with some special festivities, and all of us are invited to join the fun!! KidZania Singapore is having some Zuper special 2nd Birthday DOUBLE promotions in April to celebrate. Read below for all the details! Yippeee! **Valid for walk-in purchase only. 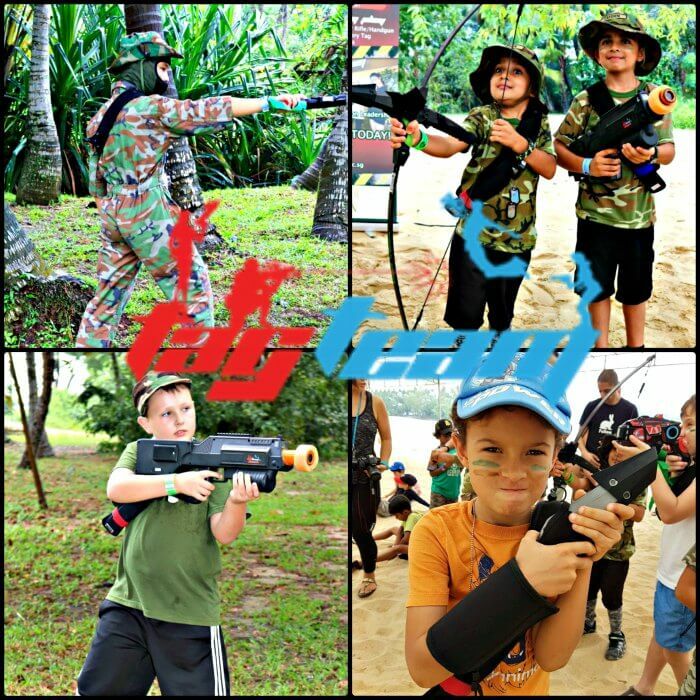 Kids can look forward to receive double the kidZos for all earning role-play activities! 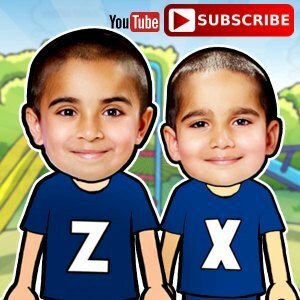 Super Note: Earning double kidZos may not seem like a big deal to us parents, but just ask your kids! When I told my boys about the “double kidZo’s” they got really excited. Xavion currently has 610 kidZos in his kidZo bank account and is trying to earn 850 kidZos to buy a pair of, in his words, “really awesome binoculars”, from the special KidZania “kids only” department store. Kids can purchase a carnival wristband at $10 and enjoy a variety of carnival games where kidZos can be won at every station. 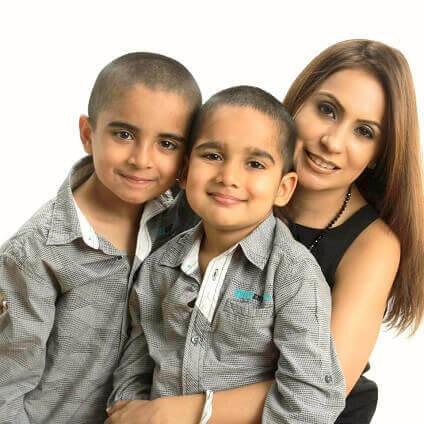 Plus, get a birthday pack and a free A5 photograph. Kids can kick off their shoes and dive into a bouncy castle too! More information can also be found on the KidZania Singapore website. Happy 2nd Birthday KidZania Singapore! Looking forward to many more fun and exciting years ahead.